Bicycling has been termed the perfect form of transportation. Bikes don’t leave a carbon footprint or cause traffic jams, it’s an affordable way of getting around town, and people who ride bikes get exercise and an opportunity to enjoy the outdoors. So, it makes perfect sense for the City of Chicago to encourage its citizens to get on the two-wheeler and ride. A lot has been done already. 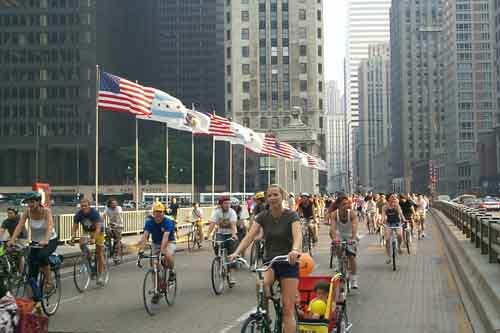 Critical Mass on Michigan Ave.
One big factor in any future plans has to include Chicago’s office building community. After all, BOMA/Chicago building members command more than 75 percent of Class A and Class B office space in the city. It’s estimated that more than 270,000 downtown workers start and end their day in member buildings. That raises the question: If more downtown office workers decided to commute to work via bicycle, where are they going to park for the next eight or so hours? Most office buildings don’t have the space to allow establishment of indoor bike parking spaces. And, most managers simply will not allow tenants to bring bicycles into their offices. The reasons are many: Liability, safety to other tenants, disruption of pedestrian access, extra maintenance to clean up tracked in mud and others. This issue leads to another one: Given the lack of secured indoor bike parking spaces, most office workers would scoff at using an unsecured outdoor space and not bike to work. This is especially true for riders who own a titanium or carbon fiber machine that costs well upwards of four figures. Three years ago, I led an initiative with the support of BOMA/Chicago on bicycle parking in office buildings. 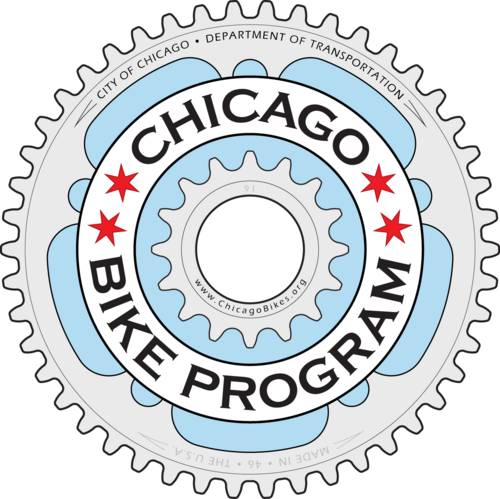 Efforts included meeting with officials at the Chicago Department of Transportation, the Bike Advisory Council of the Mayor’s Office and the Active Transportation Alliance, who were excited about the prospect of co-marketing with BOMA/Chicago building managers. And, we drafted a survey on the subject that was sent to property managers; more than 50 replied. The survey results provided some great insight. Key findings revealed these roadblocks: Some buildings have a policy against indoor bike parking; tenants did not express interest in bike parking; concerns were raised about maintenance and cleanliness of common areas; and, there simply isn’t room in some buildings to construct a safe bike parking facility. So what’s next? Certainly, more study needs to be done among building managers and the public and private organizations that have a stake in increased biking in and around Chicago. Greater awareness needs to be developed on the benefits of onsite bike storage in office properties (earning LEED credits, for example) and the bike riding community needs to learn about established bike routes and how to bike safely (wear helmets, follow the rules of the road). With spring on the horizon, more and more Chicagoans will be using their bikes for pleasure and as a way to get to and from work. The big question in the immediate and long-term future is what role will office buildings play in increasing safe bicycling in Chicago. 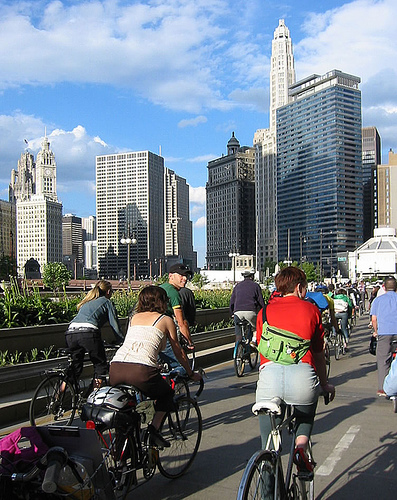 What are your thoughts on bicycling in Chicago? This entry was posted in Chicago CRE industry and philanthropy, CRE Trends, Green, Property Management and tagged 2015 Bike Plan, @Properties, Active Transportation Alliance, benefits of onside bike storage in office properties, biking in and around Chicago, BOMA/Chicago, BOMA/Chicago building managers, BOMA/Chicago on bicycle parking in office buildings, building owners and managers, Chapter 3, Chicago a "world-class city for bicycling", Chicago B Cycle, Chicago Department of Transportation, Chicago's office building community, City of Chicago to encourage its citizens to get on the two-wheeler and ride, city's "vision to make bicycling an integral part of daily life in Chicago", earning LEED credits, established bike routes, expanding the bike sharing program, Former Mayor Richard M. Daley, how to bike safetly, Larry Cohn, leave a carbon footprint, more than 75 percent of Class A and Class B office space, Senior Broker, They survey results provided some great insight, we drafted a survey, web site. Bookmark the permalink.